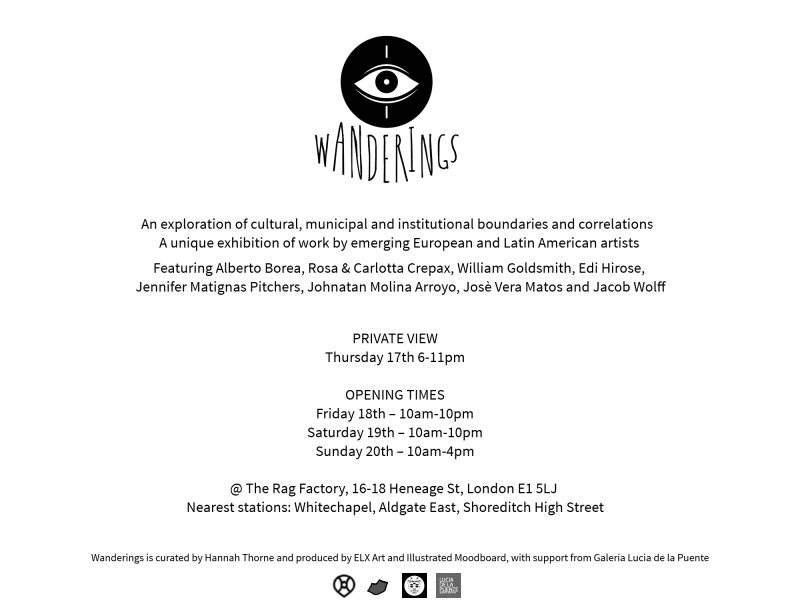 You're all invited to Wanderings an art show featuring superb artists from Latin America, London and us, with amazing original pieces and prints on exhibition and sale! July 18-20 at The Rag Factory, London. Siete tutti invitati all'art show Wanderings. Ci saranno fantastiche opere e illustrazioni di artisti londinesi, latino americani, e nostre, tutte in esposizione e in vendita! 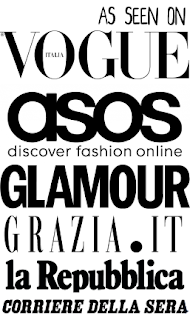 Dal 18 al 20 luglio alla Rag Factory di Londra. An exploration of cultural, municipal and institutional boundaries and correlations, Wanderings documents the varying approaches to city life of a select group of emerging European and Latin American artists. The work on display forms disparate and personal, yet ultimately connected trails for the viewer to navigate. The common link is a series of reactions to urban life, but the show also testifies to the universal bonds of artistry and provides a fascinating report on the state of art internationally. As such, Wanderings also represents the labyrinth faced by young artists in the 21st century: the search for identity, integrity and international exposure, balanced against expectation and the forces of culture and economy. The creation of this departure into a maze of indiscernible odds emerged from the inquiries of a set of young, predominantly Goldsmiths'-based curators, entrepreneurs and artists. Wanderings demonstrates their commitment to form a multi-cultural, international artist collective. With a selection of work sourced from three different organisations, Wanderings is the starting point of a set of curated relationships that will evolve over time, aided by proposed international residencies and exchanges. 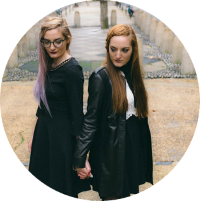 Wanderings is curated by Hannah Thorne and produced by ELX Art and Illustrated Moodboard, with support from Galería Lucia de la Puente.